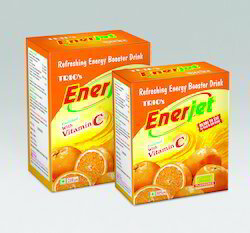 We are AHMEDABAD based Leading Supplier of Instant Energy Booster Drink-Powders in the Packing range of 35 Gm., 105 Gm. & 210 Gm. different Packs as per the need of Buyers. Also available in two Packs i.e. in Box Pack & in Pouch Pack. 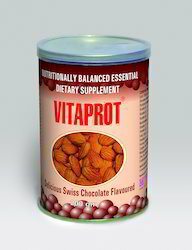 We are also having VITAPROT branded Protein Powder. VITAPROT is our Registered Trade Mark. All these Products are open for Pharma Franchise Opportunity. We take pride to introduce ourselves as one of the renowned manufacturer and supplier of premium quality Protein Powder. Our offered protein powder is tested in terms of quality before supplying at customerâ€™s end. This protein powder is processed from the best grade ingredients under the direction of experts in conformity with the set standards. Our customers can avail this protein powder from us at competitive rates in air tight packaging. Therapeutic Formula permitted under DRUG and it is quite different from the Products classified under FOOD. Backed ourselves with sound amenities and talented personnel, we have emerged as one of the leading manufacturer and supplier of Instant Energy Booster Powder-105 gm Pouch Pack. The given powder is acknowledged among customers for its safe usage. This powder is processed utilizing high quality ingredients and advanced methodology keeping in mind the all set standards. Our powder is tested on various stages by our experts ensuring its quality. Ascorbic Acid (Coated) 50 mg.
GLUCOZINC is ideal nutrient for the replacement of fluid and electrolytes loss and maintenance of hydration in motions & vomiting due to any illness, morning sickness of pregnancy, travel sickness, muscle weakness & cramps and prostration due to exhaustion for athletes, industrial workers & busy executives. Looking for Protein Powder and Instant Energy Booster Powders ?